The Expobar Office Control comes with an electronic panel, which allows the user to dispense a fix amount of volume with a press of the button.This will make things easier for maintaining consistency. It is designed to run slightly hotter, accustom to heavy dosing preference, particularly fancied by American/Australian style baristas.Such as overdosing to 20 grams per extraction. 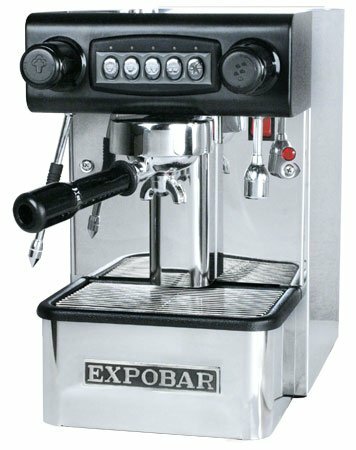 The Expobar Office Control Coffee Maker was added to the Coffee Makers category in January 2018. The lowest price GetPrice has found for the Expobar Office Control Coffee Maker in Australia is $1,949.00 from Coffee Beanery. Other merchants who stock it are Coffee Beanery.